Greg is the artist behind the wonderful photo-comic Dorothy. He also has a great style when not working with photos. 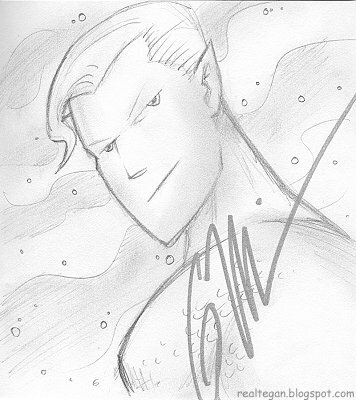 Check out his first attempt at drawing Aquaman for me!